| View Project: LEED Gold employee and environment friendly. This project consists of (2) one-story shop buildings approximately 10,400 and 6,100 square feet. The project consisted of conventional wood framed walls with pre-fabricated wood roof trusses and structural steel towers. 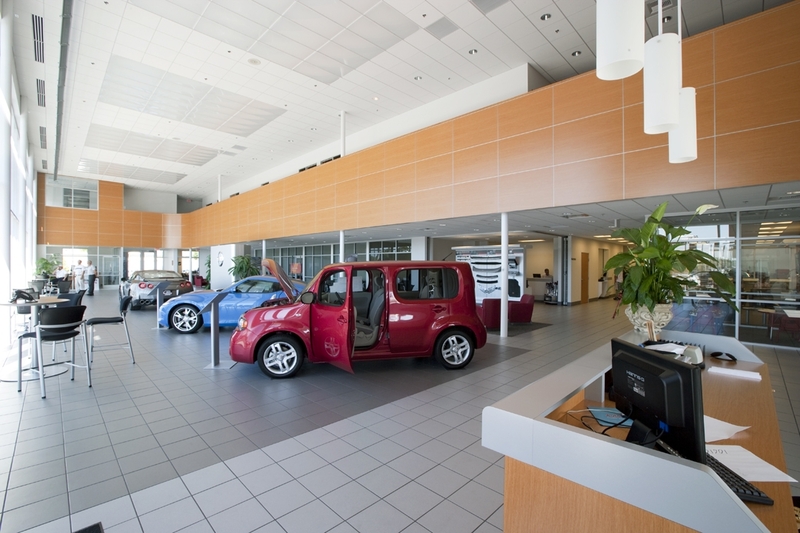 | View Project: Existing 46,230 SF auto dealership expansion of 48,400 SF. Remodel of an existing grocery store with addition of 13,000 SF of retail space and new 2,500 SF mezzanine consisting of dining area and meeting room. This development consists of (3) one-story, and (1) two-story retail buildings. These retail buildings consist 10,260, 6,100, 11,175, and 8,100 square foot buildings. The structures were designed with a combination of conventional wood framed walls with prefabricated wood roof trusses as well as steel framed floors on the two story retail building. Moment frames were used to resist the lateral forces.